I don’t know why the idea of Scandinavian Americana should have seemed so strange at first; significant numbers of Scandinavians emigrated to the USA in the nineteenth century and it’s reasonable to assume that they brought their own flavours to America’s rich musical stew and that there would still be a cultural connection. Turns out that Americana is big in that part of northern Europe, both in homegrown and imported flavours, and that’s where Buford Pope (real name Mikael Liljeborg) comes in. Although he references Dylan as a touchstone, it’s difficult not to draw comparisons with Neil Young (particularly the Stray Gators phase) because of the high, keening voice and the plaintive pedal steel licks that permeate the album. For his seventh album Buford Pope has opted for the naturalistic approach; learn the songs, get the right technical set-up and go in and play them once. And it works, although the album’s opening song “Still Got Dreams” is a bit too lo-fi for my taste. The lyrics deal with familiar roots themes: guns, drinking, driving (sometimes both at the same time) and families all feature in the mix. The recording process gives the album an intimacy and immediacy that recording tracks separately can never quite capture and highlights the interplay between the instruments, particularly the combination of slide or pedal steel and piano on “Infirmary” and “No Man’s Land”. Standout songs? Well, the big chorus of “Freewheeling” and the epic Al Stewart feel of “The Baltic Sea” certainly do it for me. 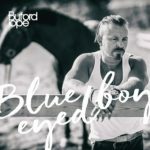 “Blue-Eyed Boy” is released on Friday September 22 on Unchained Records (BP2017).